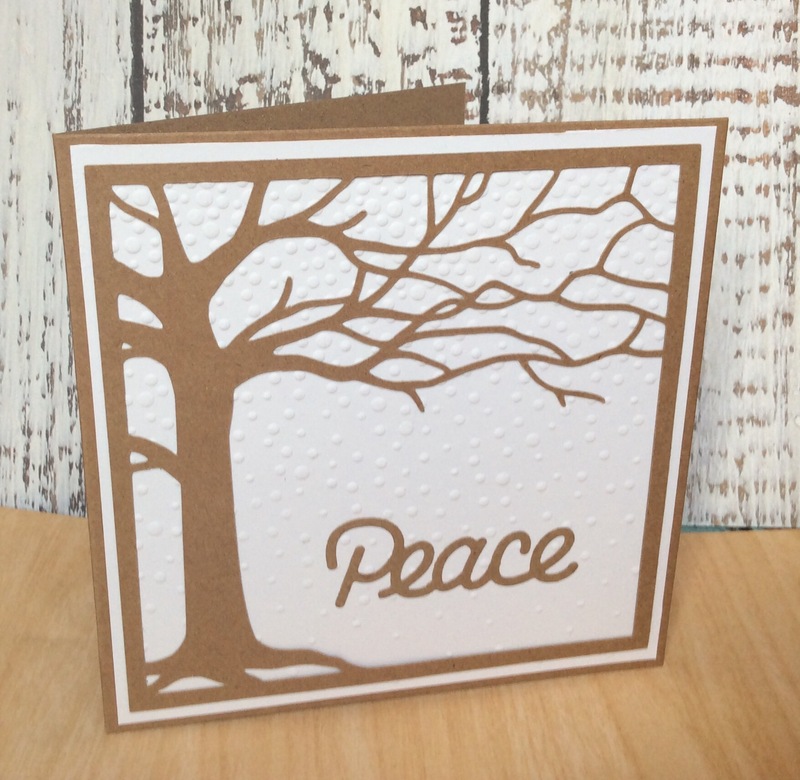 This card has an embossed snow background laid onto Kraft card. The tree die overlays the snowy background. The die was kindly given to me by a fellow crafter. Cut, I think on her Cricut machine. I like this design as its simple but represents peaceful silent snowfall. Very pretty, Denise, simple, but oh so elegant.